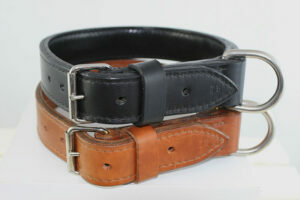 In Workshop Sauri we make standard dog collars for all dog breeds, in all sizes. 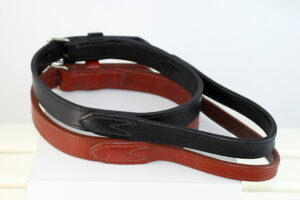 Our standard dog collars, leashes and harnesses are useful for everyday walks, trainings or for a daily use in kennels. 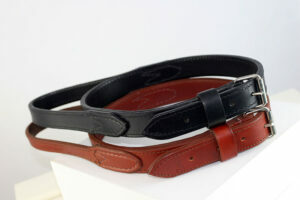 Standard dog collars are extremely durable, practical and made of strong harness leather. 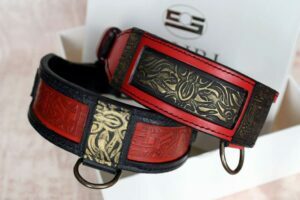 They are not result of a mass-market but of decades of the experience in hand stitching so they look very impressive – because they are handcrafted and made with much attention and care for the dogs. 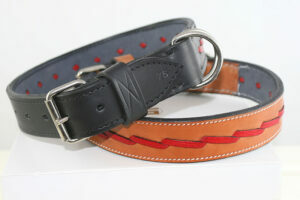 It is always better to choose natural materials instead of artificial materials when buying for your dog. 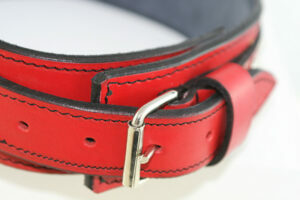 Our standard dog collars are made in all sizes, i.e. 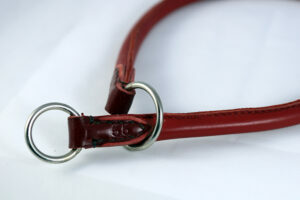 all lengths so that for a specific collar we have all needed lengths from smallest to the largest size. 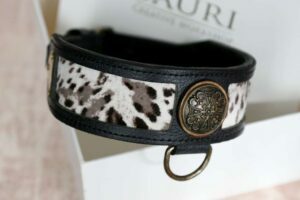 Our standard dog collars are not too much ornamented, mostly they do not have ornaments at all, but they are the same quality as Sauri’s unique dog collars. 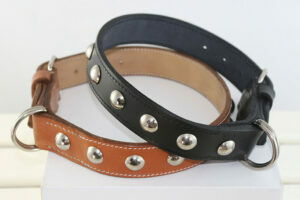 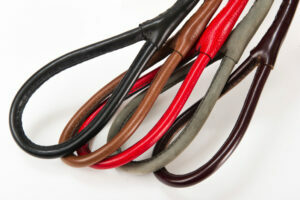 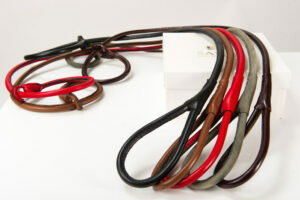 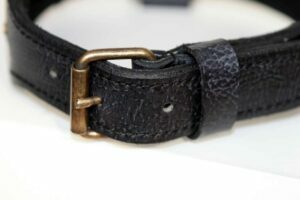 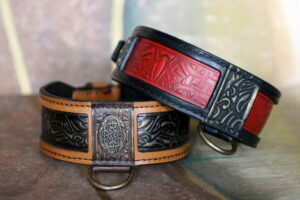 As for the colors standard collars are made from natural/beige, black, brown or red harness leather. 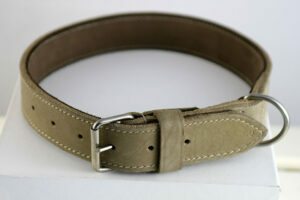 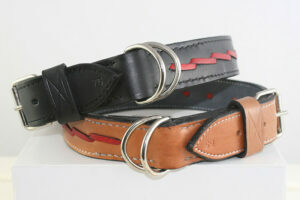 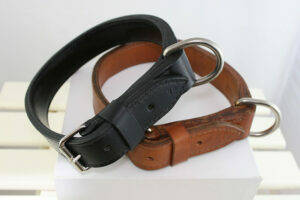 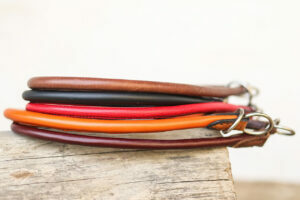 This standard leather dog collar will suit all large and giant dog breeds. 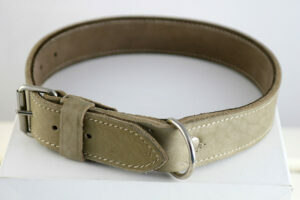 Measure your dog's neck before ordering and let us know should you need any further information on this product.